Sometimes it happens. The more open and honest we are I'd say the more people really know us. Hope your kids adjust soon! the truth? I didn't see my parents as people in and of themselves until I was a junior in college. That was when they had this big mid life crisis and my mom wanted to leave my father and as their own emotion esculated, their sensors about who they were talking to went down completely and I learned who both of them really were as people. Lemme tell you, it's a hard thing to come to terms with. Because we realize our parents aren't perfect. not at all. Their human. But now that I'm getting older and my own kids are growing up- I made a promise to myself to always be 'real' with them. They shouldn't have to learn who I really am when they're 20 years old. They see my temper. They see my sense of humor. They know how I laugh and love and they know I'll always give it to them straight and be there for them to talk to when they're worried or upset until their world makes sense again. I'm still discovering stuff about my mum - even at my grand ol age! I tend to think the feeling's mutual. I doubt we will ever actually know each other - not really, not profoundly - but I hope we know enough to have a strong - if a little strained at times! - bond! I've been thinking of that questions a lot lately. I recently picked up a small black notebook and have been keeping little sayings and advice that I live by so that if something happens to me he can try and understand who I was. Whenever I look at my two girls I think about how they know me. Ultimately, I have to be a mother more than I can be their friend. A friend can share the bad and the good with them, a mother has to be supportive and protective. I have to question if I really want my girls to "know" me the way I want them to. I think I'll ponder on it a few more years before deciding. For now I'm just mom and everything happens magically. Sounds like your little ones are doing just what they should - adjusting. And it's hard, but the best thing we can do is to help our kids endure hard things, because that is how they grow strong. Someday, they will both look back and think "Well, we moved across the country, and I survived that. I can survive this too." Oh! I really get you here. I wonder this all the times about my parents. Am I really getting to know them like I should?? My free time is almost nil these days... will I regret not getting to know more about them someday??? It's so easy to forget they had full lives before we came along. And as for my own kids (who start school tomorrow in first grade and kindy) they will never understand what it means until grandma and grandpa are gone. I'm sure it's tough right now with a new school and all for your daughter. Just keep telling yourself she'll be ok. These are the things that make strong, independent women. Understanding you will survive and get thru. Hi Leigh .. I think some people have that lucky connection with parents and child .. and are open with each other .. as open as can be. Sadly I didn't - and of course now wish I did .. but such is life. Isn't it interesting how your daughters actually changed their minds? What an unexpected turn! I'm sure by this time next year, oldest daughter won't even remember making that comment. She'll be settled in and loving it as well. Kids are so very resilient. I'm a completely open book. To a fault sometimes, I think. Not everyone truly wants to know the real you. I have a friend who is the exact opposite of me. She's closed tight. Has been since high school. We make an odd pair of friends. I think we play well of each other though. I just have to remember to respect her boundaries. The eldest will adjust in time. It's still all so new and she has to start at a new school. That can be daunting if you don't know anybody. Tell the stories. Let them know you. I don't think anybody sees us entirely as we see ourselves. It can be interesting, but annoying. Folks make a lot of snap assumptions. I love reading about mother-daughter and sister relationships. Like you, the character I've empathized with has sometimes changed with age. I'm so happy to hear your daughter has adjusted. We're trying to stay in Cambridge. My kids hate the idea of leaving. 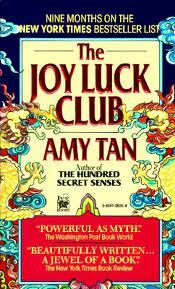 I should read The Joy Luck Club. It's one of those books that's been on my list forever, and this post makes me want to. I hope things settle down for all of you in your new location. Moving is tough for kids. Good luck to your kids. And you are right. Each week, things will feel even more comfortable for them. It does take time. And I think it's impossible to know everything about any person. It's fun learning though! This is a wonderful post, and rings so true. Gosh, I'm not even sure I know myself, and I'm so surprised when people tell my I seem so confident because inside, I don't feel that way at all. I don't have children, but if I don't even know what I'm projecting, goodness knows they probably won't see the real me, either! My own parents let me know them in different ways. I'm so glad I caught their messages before it was to late. 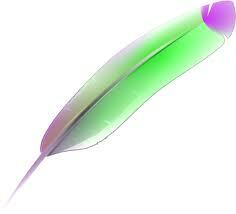 We had a chance to "know"
Now if I think of something I write it down in case there's not a chance to talk about it. Wow. This question has me all in knots. I was pretty close to my mom and thought I knew everything. Then she got Alzheimers and I started to realize that there was even more that I wanted to know but it became too late for more long conversations. It may sound cliche but enjoy every minute together. I think you should tell her. I think maybe feeling like she helped you cope with moving there will give her a feeling of importance related to Indie. You know me and my TMI policy... my daughter, in particular, gets my stories and theories. i come from secretive stock, so there are things I never share--but those are FEELINGS things... selfishness I'm ashamed of... dark stuff I should channel through the writing instead of risking that it hurt people I love. But the EVENTS, the reflections after the darkness fades? I try to share where it fits. I know my kids know me better than I know my parents. This post really tugged at my heart. We have moved a lot as a family, and it's never easy adjusting to a new scene, making new friends, etc. Lots of silliness and sharing special times together helped us through. We have so many memories to sort through with those moves. On reflection, they're all good, even the sad ones. I think maybe you should share your thoughts with your daughter. Let her know that you're feeling a little topsy-turvy too but that you know everything will be okay because you all love each other. Yes, I have had these feelings and worried about my children, not knowing their grandparents and the lack of connections. It worked out fine, for the most part. The girls will adjust sooner than you think. This is just a hiccup in the grand scheme of things. As far as showing people my inner feelings? Are you kidding? Why would I do that? LOL! Actually, I have a hard time figuring myself out, what with all the chameleon required of me. Be a mom, be a writer, be an expat, be an ex-expat/transplant/trailing spouse, be a real estate broker. They don't say "switch hats" for nothing. I guess my point is that people show us the side they think we expect to see, more often than not. And if that side is what we want to see, we tend not to look further. Wow! Very thought provoking. I think it wasn't until I saw my parents get through their personal struggles that I realized they were people too. And it wasn't until I hurt their feelings that I realized they even had them. It's too bad we can't figure these things out earlier. And I'm sorry the move is so hard on the eldest. I can't imagine. I lived in the same house my whole life. I've moved quite a few times since going to college but it's always a new experience. And sometimes change is so hard. Good luck! I've had the most meaningful bonding moments with my kids when I've opened up about my life as a kid in relation to their own struggles. I think it builds empathy, so they know they aren't in all this alone. Also, moving is hard. Sometimes kids don't adjust to a move like they expected. The best thing you can do is listen to your daughter so she knows you're there for her. I'm sure you're a great mom. I was bounced around as a child a lot. I'm old now. Recently found I had a brother somewhere. Didn't look him up. I read people very fast, but I've been married 25 years and just getting to know my wife. I think if you don't know someone it's because you don't want to know them and if they want to be remembered a certain way that's not who they are. That gave me a head ache.